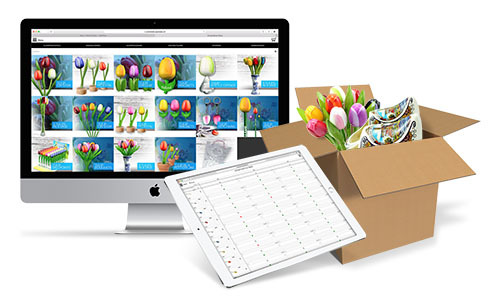 New at Nijhuis Klompen: De online order-module for business relations. To make it a lot easier for our customers to order our articles, Nijhuis Klompen has developed a special new online module. So now it is possible to order online. By a logging in with a personal inlog-code you’ll enter a webshop especially for business users. In this shop you see your personal prizes and you can see the exact total costs of your order while you’re ordering. After conforming your order goes straight to our system so we can handle it even quicker than before. Are you interested in our online order-module? Please fill in this online order-form. We’ll make an account for you and contact you about the way it works. Any questions? Our sales team always likes to help you. Please call: +31544-356060 or send an E-mail to info@woodenshoes.com.